Our 4 days of feasting in Bangkok is coming to an end! How fast time flies! We took a large cab from our hotel to Suvarnabhumi Airport after we checked out at noon. After clearing customs, we had our final Thai meal at Dragon Jade in transit. 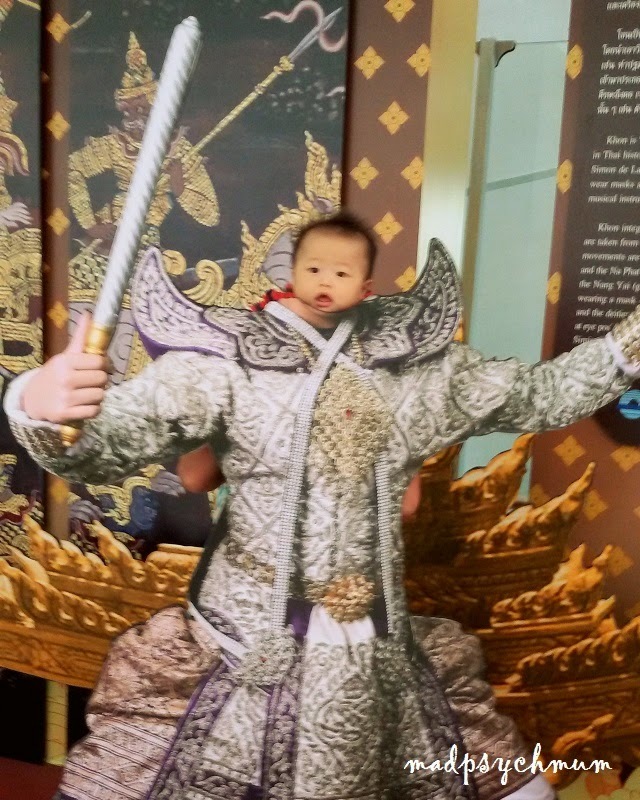 Baby Boy as a fierce Thai warrior! We love Thailand and can return again and again! Till next time (which is Phuket in Feb 2015), kor kum ka (Thai for "thank you").